I want to urge you to attend the District Conference and to encourage his/her club members to attend the District Conference on October 28-29 at the Lodge of Four Seasons in Lake Ozark. We have an outstanding conference agenda planned that will be both informative and inspiring. Club officers, members of the Board, committee chairs, and past presidents are among those who should be attending the District Conference. Every club should be sending four to eight club members to the Conference. A copy of the agenda for the conference will be distributed soon. The deadline for registering for the Conference and for obtaining lodging at the Lodge of Four Seasons is October 20. All lodging reservations made after October 20 will not qualify for the Conference rate. 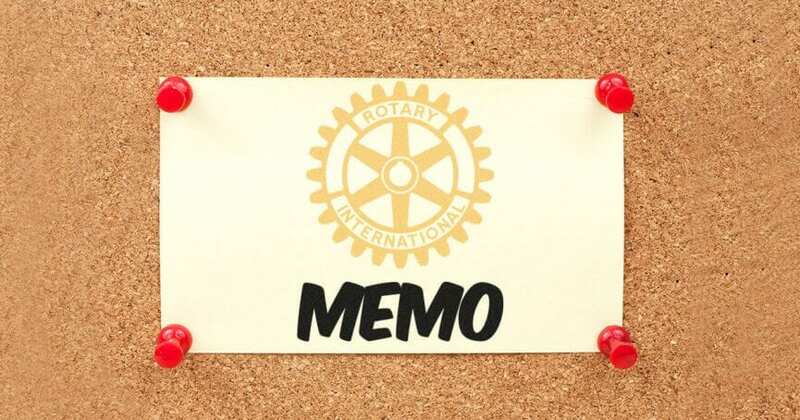 I am also writing to announce the selection of Jacqueline Howard of the Pulaski County Rotary Club as the new District Governor Nominee Designate by the Governor Nomination Committee. That committee is comprised of three Past District Governors and two Immediate Past Presidents of clubs chosen by random. Jackie will be the District Governor during the 2020-21 Rotary year. Jackie is currently serving as the District Visioning Chair. I hope that many of you will want to send notes of congratulations to her. Jeffrey Long of the Branson-Hollister Rotary Club has been appointed to succeed Wade Robson who has moved to Bentonville, AR to accept a promotion in his bank. Jeff will serve the four Branson areas clubs. Assistant Governors may wish to send him a welcoming message. Danita Wood has been appointed as the District Family of Rotary Chair. Danita is Immediate Past President of the Boonville Rotary Club. Each year, each District may nominate one Rotarian who has excelled in his/their commitment to helping others by volunteering their time and talents. Last year, PDG Everette Wood, a member of the Sedalia Rotary Club, was nominated and was selected to receive the coveted Service Above Self Award. I am seeking nominations to honor another dedicated Rotarian who has a record of outstanding achievement in the advancement of Rotary’s mission and ideals. I must receive all nominations no later than October 23. I will need to submit one nominee’s application no later than November 1, 2017.